In the village of Hishiyama in Nigata prefecture, there is at least one avalanche every year. 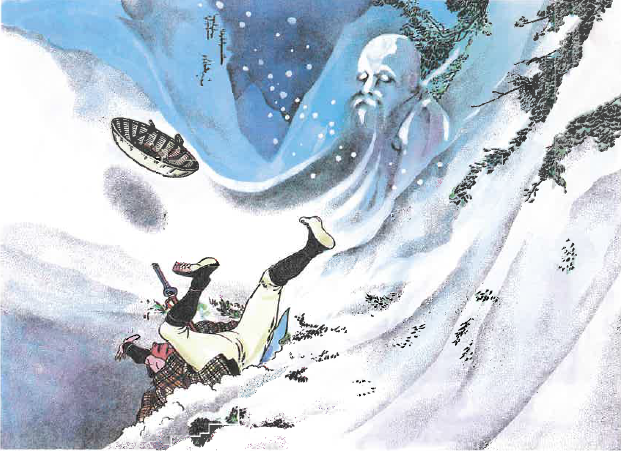 The snow always comes tumbling down at night, and with it comes the Yuki Jiji—the Old Man of the Snow. What Does Yuki Jiji Mean? No mysteries here. His name uses the kanji 雪 (yuki; snow) + 爺 (jiji; old man). This story comes from Hishiyama in Nigata prefecture. Every year in March, the snow comes tumbling down from the mountains in an avalanche. They only come at night, and they always herald the arrival of the Yuki Jiji. He is said to be an old man as white as the snow; white skin, white hair, dressed in a white kimono and bearing a white hei—a staff with plaited paper streamers used in Shinto ceremonies. The Yuki Jiji rides the avalanche, comfortably seated on it as it tumbles down the mountain slopes. 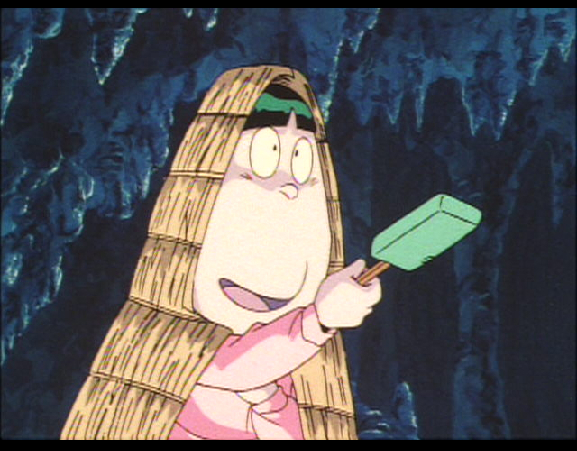 Depending on how far the avalanche travels, the Yuki Jiji brings either a good harvest or a poor one. There hints of other stories about the Yuki Jiji, that he is a male component of the Yuki Onna—an old man who haunts the snow-covered forests and attacks travelers, or causes them to be lost. 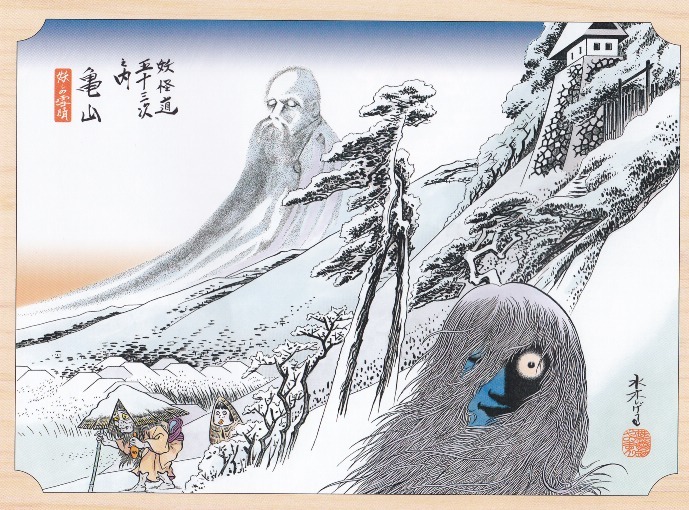 Some of these legends paint the Yuki Jiji as a person who froze to death in the mountains, and was reborn as a yokai. These legends are rare, however. The last of my snow monster series for December, and my last post of the year as I enjoy the Holidays! 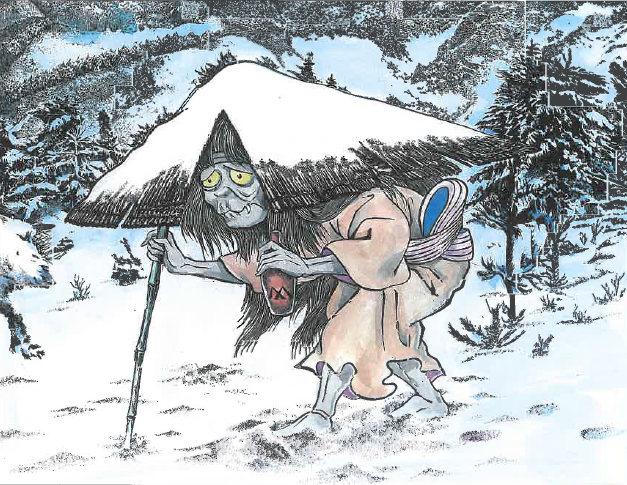 The Yuki Jiji is one of those yokai with only a single legend—the opposite of his sister the Yuki Onna! 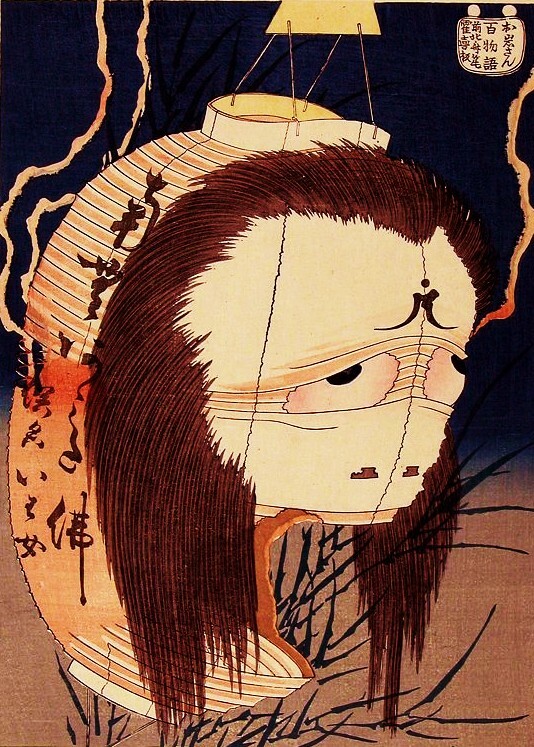 The Yuki Jiji is thought to be an ancient mountain god, properly termed a kami. The presence of his hei, a magical staff used in Shinto rituals, marks him as sacred—as does his connection to the harvest. But whatever cult worshiped him long, long ago he is now a member of the yokai pantheon. This was a fun and interesting series to work on. I hit almost all the snow monsters, with the sole exception of the Yuki Nyudo (雪入道), a one-legged hopper that is identical to the Yukinbo except an old man instead of a young boy. Sadly, there isn’t much else to say about the Yuki Nyodo. So there is his entry! The Yuki Onna is one of Japan’s most well-known and yet unknown yokai. There is no single story of the Yuki Onna. From dread snow vampire of the mountains to a loving bride and mother, she has played many roles over the centuries; worn many costumes. She is ephemeral as a windblown mist of snow, and as impossible to hold. What Does Yuki Onna Mean? The only easy thing about the Yuki Onna is her name. It is as straight-forward as her icy companion, the Tsurara Onna – The Icicle Woman. 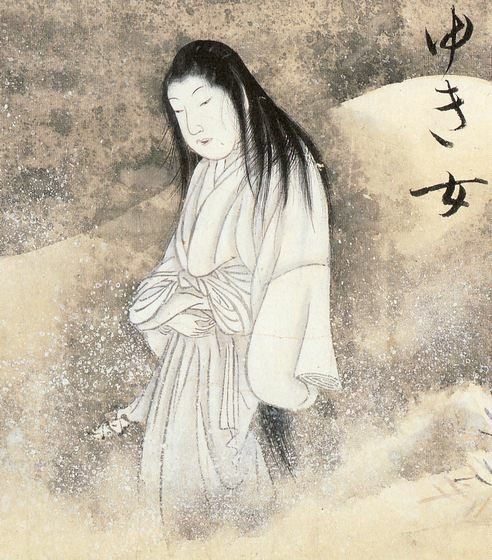 Yuki Onna uses the kanji 雪 (yuki; snow) + 女 (onna; woman) to mean Snow Woman. OK, I lied. Her name isn’t easy. Yuki Onna is only one of her names. Anywhere there is ice and snow in Japan you will find legends of the Yuki Onna, often called by some regional variation. Basically, any variation of “Snow” + “Name used for a Woman” can be found in use somewhere. 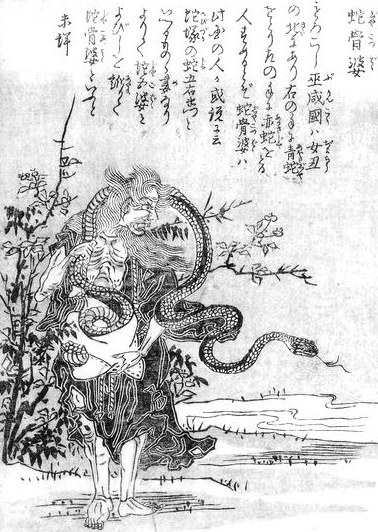 Some of these different names have different stories and characteristics, and it is often difficult to tell what is a unique yokai (Like the Yuki Onba and Yukinko) and what is just a variation of the Yuki Onna. Almost all tales of female snow monsters are also told as Yuki Onna stories. What Do Yuki Onna Look Like? Whatever you call her, the Yuki Onna changes little in appearance. She resembles a classic yurei, with snow-white skin and a white kimono. The kimono is usually described as a thin, summer kimono that is far too light for the cold weather. In many stories, the kimono is pale enough to be translucent, with the garment exposing her white skin underneath. The biggest variations in her appearance are her age and her hair. In most tales, the Yuki Onna is a preternaturally beautiful young woman, with dark black hair offsetting the whiteness of her skin and kimono. 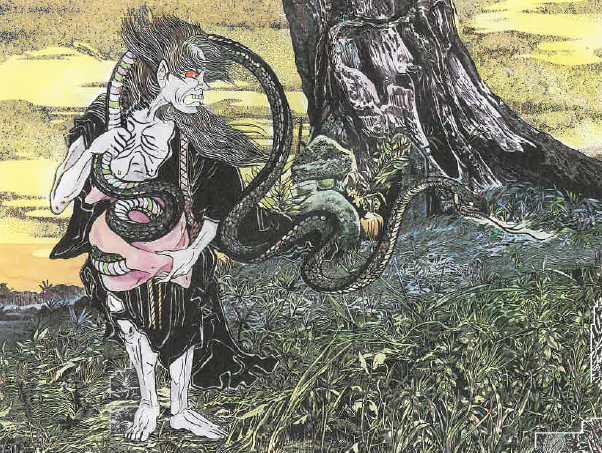 However in her first known appearance—in Sogi Shokoku Monogatari (宗祇諸国物語; Sogi’s Tales of Many Lands)—she is described as having white hair that matches the rest of her bone white appearance. Other stories of the Yuki Onna further confuse her with yurei. She is said to leave no footprints when she treads on the snow, and this can lead to stories of a footless Yuki Onna, mimicking the footless yurei. When and Where Do Yuki Onna Appear? Not surprisingly, most Yuki Onna tales come from Tohoku, and Japan’s frozen north. They hail mostly from Aomori, Iwate, Miyagi, and Yamagata, as well as Nagano and Nigata. However, they are not restricted to those areas. Yuki Onna appear as far south as Ehime, Tottori, Fukui, Gifu, Nara, and Toyama prefectures. There are few prefectures in Japan without at least one Yuki Onna story—except maybe Okinawa (and, strangely enough, Hokkaido). As to when they appear—there are different stories. In Aomori and Iwate prefectures, Yuki Onna appear during Koshogatsu (小正月). Meaning “Little New Years,” Koshogatsu takes place on January 15th and was the traditional end of New Year’s festivities. Nishitsugaru District in Aomori prefecture is even more specific—the Yuki Onna arrives on New Year’s Day and leaves on the 1st of February. The link between these dates and the Yuki Onna is obscure. Some say that in ancient times the Yuki Onna was worshiped as a Toshigami (歳神), a special deity that appeared on specific days and brought either good or bad fortune for the coming year. The link with February is interesting, corresponding with the Gaelic festival of Imbolc. She may have been Aomori’s Punxsutawney Phil, either ending winter or extending it with her presence. Some think she may have been a servant to the Mountain God (山神), playing the role of Miko or Shrine Maiden and bringing blessings of fertility and a good harvest. Others say that the Yuki Onna appears only during full moons with new-fallen snow. Mothers in Ehime prefecture are warned not to let their children out to play on such nights. Still others say they arrive and disappear with blizzards. And at least one story says the Yuki Onna appears on the cusp of spring, to bid a temporary farewell to winter. 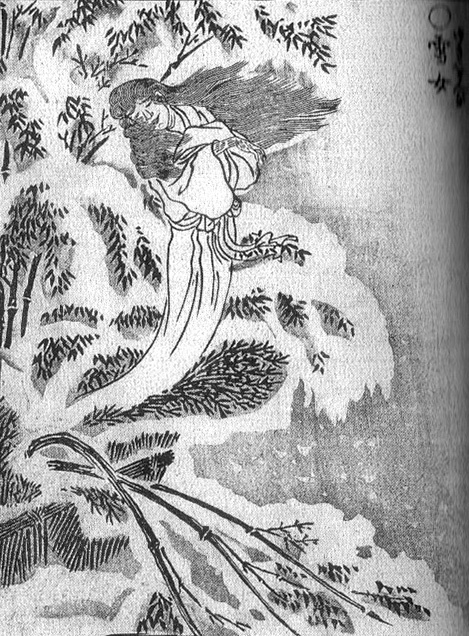 Although she is thought to be an ancient legend, the first known written account of the Yuki Onna comes from the Muromachi period (1333 – 1573). 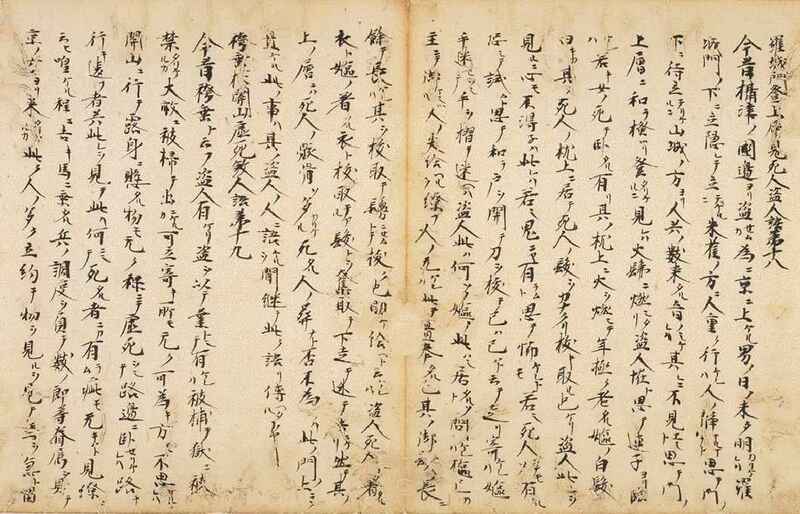 The monk Sogi wrote of his travels in Echigo province (modern day Nigata prefecture) and his encounter with a Yuki Onna. Sogi writes that he went out of his house one snowy morning and saw a beautiful and unusual woman standing in his frozen garden. She was huge; almost 10 feet tall, with skin whiter than any human being. Although her face was young and beautiful, her hair was stark white and hung loosely about her shoulders. Her kimono was white to the point of being translucent, and was made of some magical gossamer fabric that clung to the woman’s body. Sogi attempted to speak to her, but she vanished into the snow. Discussing the vision later with a friend native to the region, Sogi was told that she was the Spirit of Snow (雪の精霊; yuki no seirei) who normally appeared during heavy snowfall. It was rare for her to appear at the cusp of spring. There are more stories and variations of the Yuki Onna than it would be possible to tell—you could easily fill a book with them. Many are so different from each other it seems they are talking about completely different yokai. 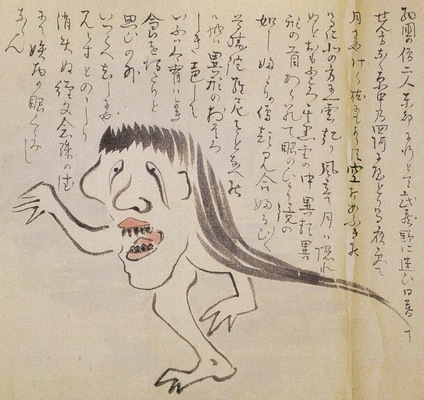 Some are different yokai. 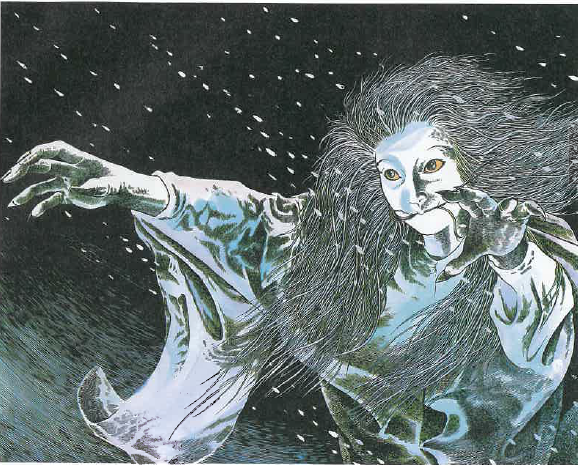 Tales of the Yuki Nyobo – The Snow Wife are identical to the Tsurara Onna – The Icicle Woman. The Yuki Onba and her child the Yukinko are different enough that I split them into their own entry. And there are more—thousands more. 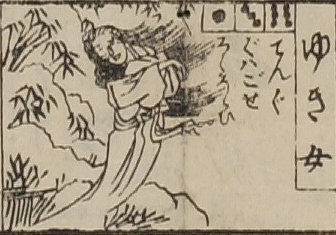 The Yuki Onna travels on the wind, and appears on days with a light snowfall. She walks through the town swinging a white Gohei wand, and shouting “Please give me water—hot or cold!” to anyone she meets. If you give the Yuki Onna cold water, she swells in size. If you give her hot water, she melts and disappears. The Yuki Onna was once a princess of the lunar world, and lived on the Moon. Her life was full of luxury and indulgence—and extremely boring. She became fascinated looking at the world below, and so she snuck out one night and fell down to Earth, traveling on the snow. However, coming down was easier than going back up, and she became stuck on the Earth. On snowy nights of the full moon, she appears, pining for her old home. The Yuki Onna is a terrible yokai, that haunts the snowy forests looking to feed. She lives by sucking seiki (精気), the vital energy of the human body. She extracts the seiki by first freezing her victims to death, then sucking their souls out through their mouths. This type of Yuki Onna is particularly nasty in Nigata, where it is said she particularly prefers the seiki of children. This Yuki Onna has a peculiar trait—she needs to engage her victims in conversation in order to attack. When she meets someone on a dark and snowy night, she will call out to them. If the person answers her greeting, she attacks. 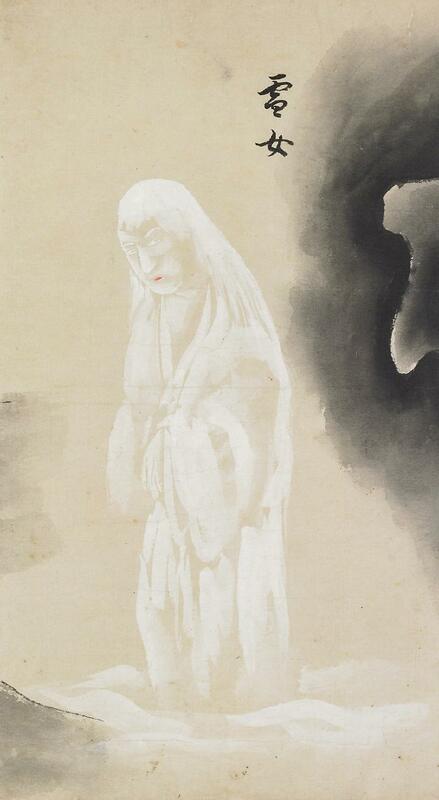 Some accounts say that the Yuki Onna is not a Spirit of Snow, but the ghost of a woman seeking revenge. This mainly comes from Chikamatsu Monzaemon’s bunraku puppet play Yuki Onna Gomai Hakoita (雪女五枚羽子板; The Five Battledores of the Yuki Onna). 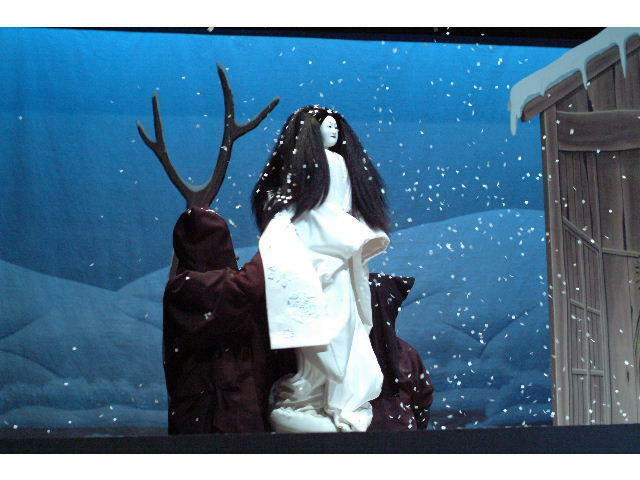 In Chikamatsu’s play, the Yuki Onna is the ghost of a woman who was deceived, lead into the forest, and murdered. She manifests as the Yuki Onna in order to get her revenge. Variations of this theme—combining the bewitching beauty of the Yuki Onna with slaughter and revenge—can be found throughout Yuki Onna county, and have been confirmed in Aomori, Yamagata, Akita, Iwate, Fukushima, Nigata, Nagano, Wakayama, and Ehima prefectures. But the version of the Yuki Onna that most people know—either in Japan or elsewhere—comes from Lafcadio Hearn’s book Kwaidan. His kindler, gentler—and more romantic—Yuki Onna has become the template for Yuki Onna and superseded all others. Odds are in modern times if someone speaks of the Yuki Onna 99% of the time it will be Hearn’s version. Two woodcutters—a father and son—were trapped in the forest when a sudden blizzard arose. They took shelter in an abandoned cabin, huddling in their clothes to sleep next to a meager fire. In the middle of the night, the son awoke when the door banged open and an ethereally beautiful woman came in from the blizzard. The woman crept over the father and blew her breath on him, then sucked up his living essence. As she turned to do the same to the son, she paused. Captivated by his youth and beauty, the Yuki Onna said she would let him live, but only on the condition that he never speak of this night. The following winter, the young man was standing in his doorway when a beautiful woman traveler came walking by. The man offered her refuge from the elements, and the woman accepted. They quickly fell in love, and the woman never made it to her destination. She stayed on, married the young man, and they lived happily for years. They even had several children. One night, when the kids where happily playing, the man looked up at his wife and a memory surfaced that he hadn’t thought about in years. When his wife asked him what was the matter, he told her of his encounter with the snow spirit years ago, wondering if it had all been a dream. The smile fell from his wife’s face, as she revealed herself to be that very same Yuki Onna. She was livid that her husband had broken her promise, and would have killed him there were it not for the children. As it was she left instantly, leaving the husband behind with regret and sorrow. 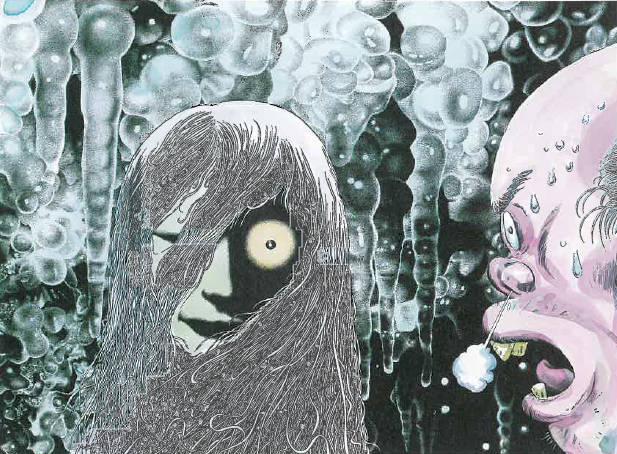 No one knows exactly where Hearn got this version of the Yuki Onna tale. People have searched for years to find the original, but without success. According the Hearn’s preface, it was taught to him by a local man. Researchers have tracked that down to a potential candidate, a father and daughter who worked as servants in Hearn’s house in Tokyo. The daughters name was Ohana, and the father was Shuya, and they came from the Oume district of Toyko. That area has some similar folktales, which make Ohana and Shuya good candidates. However, it is almost certain Hearn embellished whatever tale he was told. Hearn almost never faithfully recorded stories, and always worked them into something he thought was better. So there is no way of knowing what portions are original, and what are additions. It doesn’t really matter though—ever since Hearn published his version, it completely dominated all other versions of the Yuki Onna. No more Moon Princesses or Water Beggars. With Hearn’s story there was a marked shift to a different kind of Yuki Onna story, one that blended romance and loss and melancholy. Another snow monster for December! This is the big one. I have been wanting to do Yuki Onna for a long time now, but was always intimidated by the sheer amount of information and variations. Even as one of my longest articles I don’t think I did the subject justice. There are many more Yuki Onna stories that can be told; although to be fair, many of them are just variations of existing yokai stories re-cast with the Yuki Onna. I’m especially fond of the Yuki Onna became my wife’s name is Miyuki, which translates as “Beautiful Snow.” For as long as I have known her I have teased her about being a Yuki Onna in disguise. Which doesn’t really work because she hates the cold and is completely a beach girl, not a snow bunny. There is at least on attempt to make sense of the ubiquitous nature of the Yuki Onna in Japan. Some researchers have said that the Yuki Onna may have actually existed in the form of mental illness. 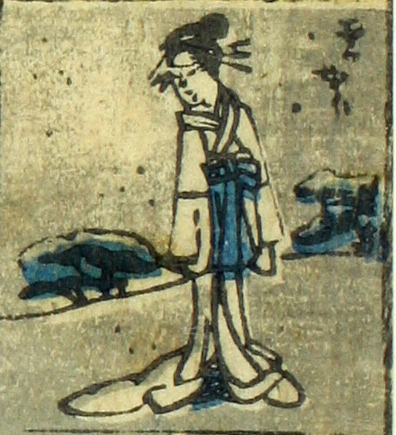 The intense cold of winter combined with suffocating fever could lead people to stumble outside dressed in only light summer kimonos. People who stumbled upon their hapless wanderers invented stories, and over time these stories became legends.